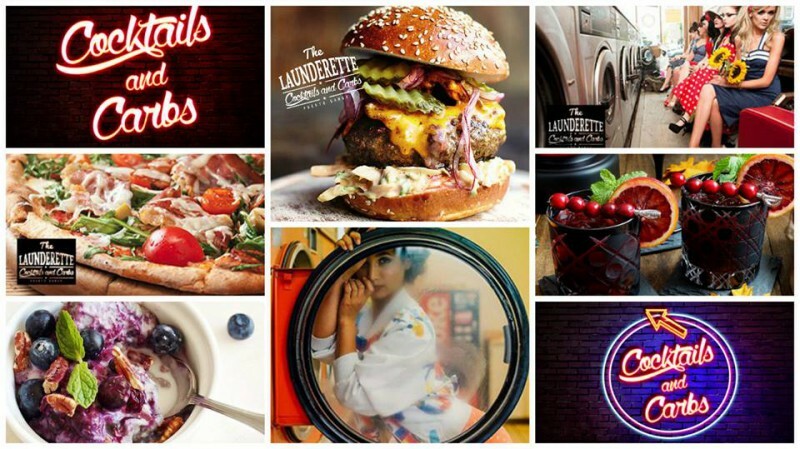 The LAUNDERETTE offers 7 days of fun! The LAUNDERETTE is decided to make your 2017 a year to remember! 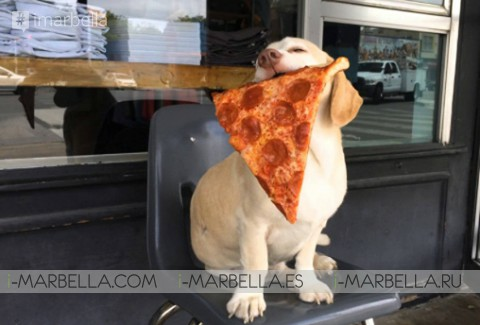 Every day of the week there is a different and unique offer. So buckle up, here we go! 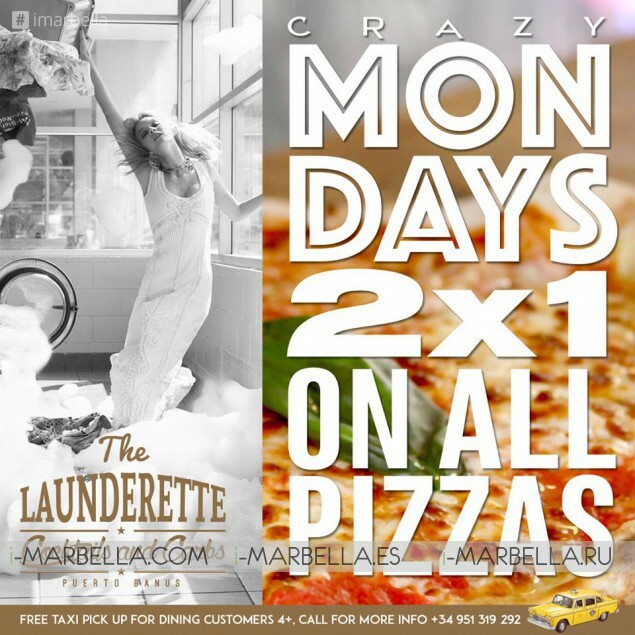 Mondays @ the LAUNDERETTE are reserved for 2X1 Pizza! 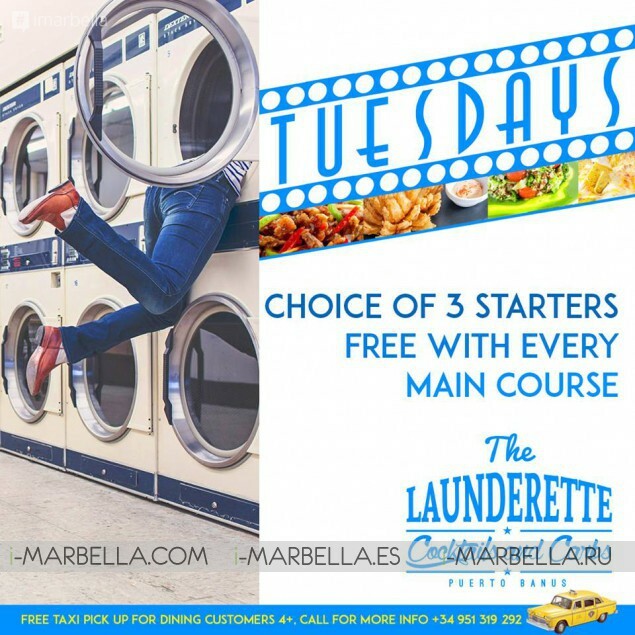 Tuesdays @ the LAUNDERETTE offer 3 free starters! 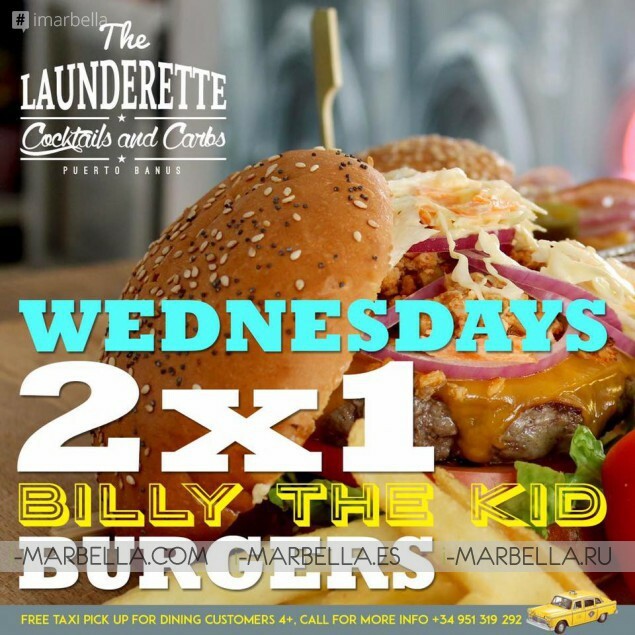 Wednesdays @ the LAUNDERETTE makes the day with Billy the kid! 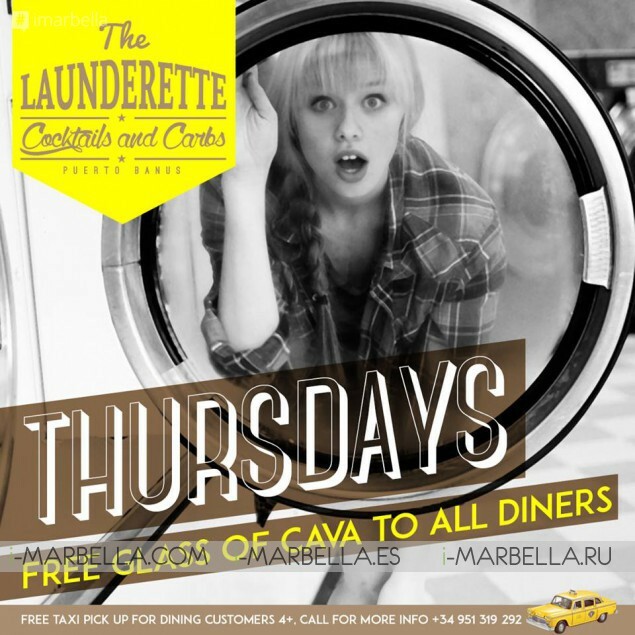 Thursdays @ the LAUNDERETTE are for a free glass of cava to all diners! 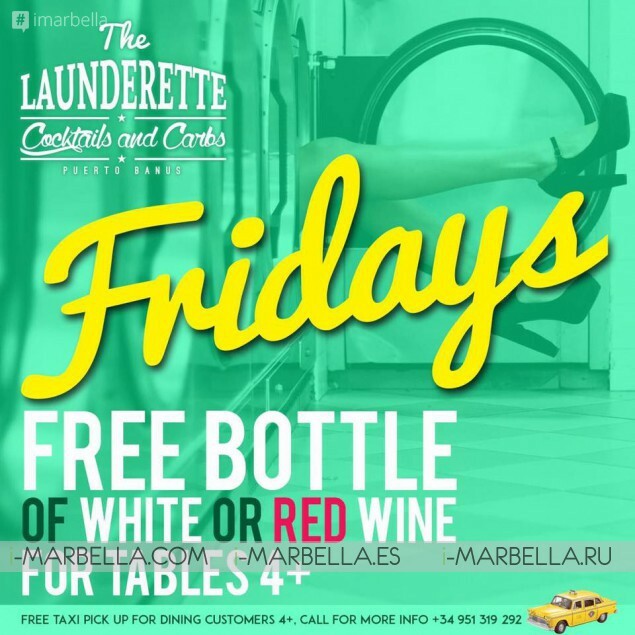 Fridays @ the LAUNDERETTE celebrate the weekends with a bottle of free wine! White or red? The question is this on Fridays! 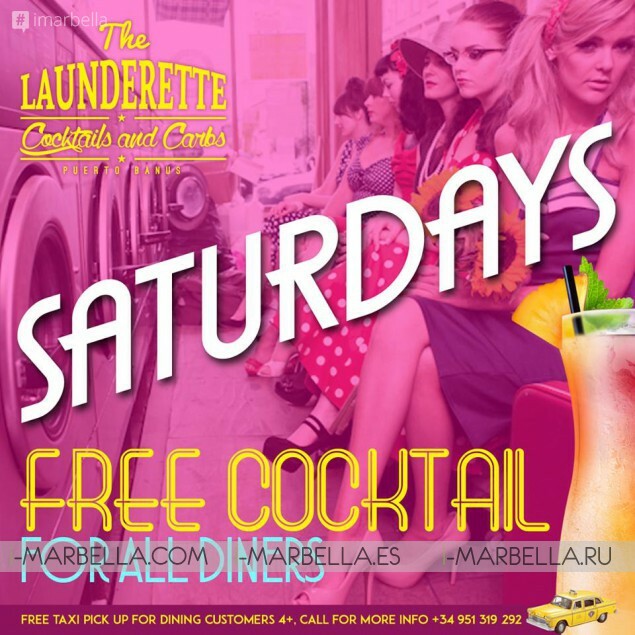 Saturdays @ the LAUNDERETTE are meant for a free cocktail! 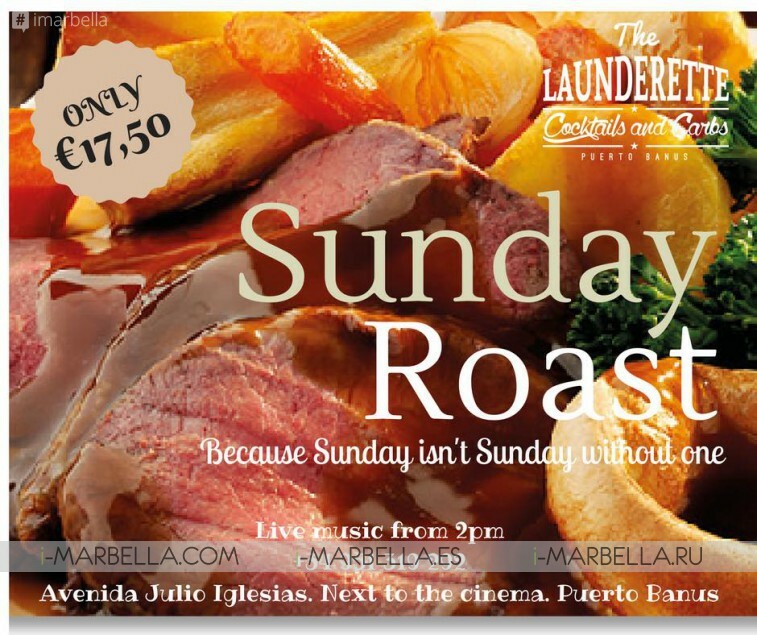 Sundays @ the LAUNDERETTE are for the best roast Costa del Sol has ever tasted! 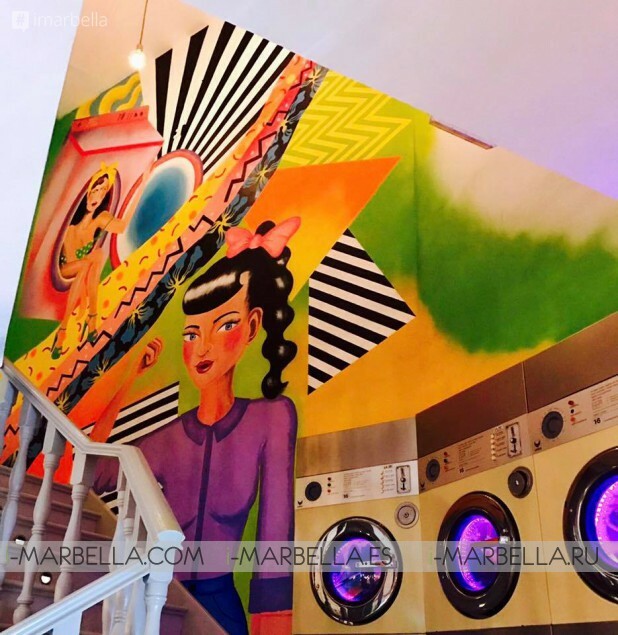 Come and check out the latest addition at The Launderette Puerto Banus. Local graffiti artist Jessica Abou Nassar spent days creating this cool and funky mural. Come and check it out and join us for some fab food from our winter menu.